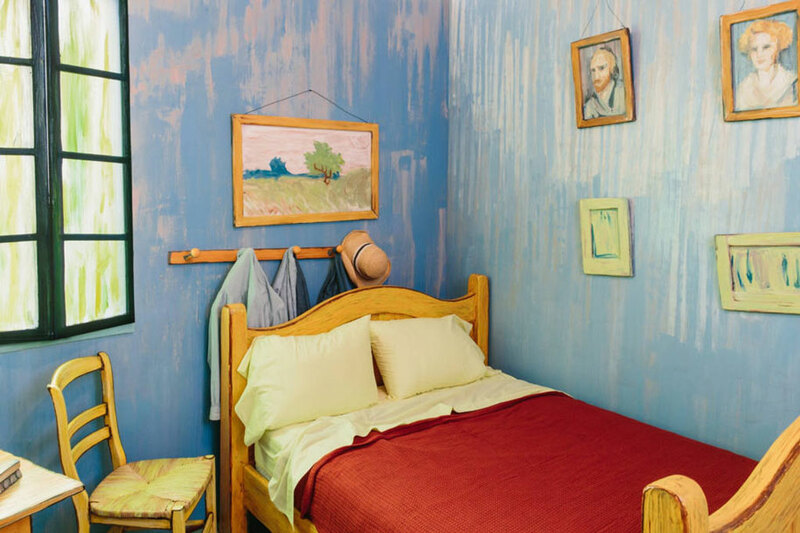 Bedroom in Arles, or simply The Bedroom, is a series of three similar paintings created by Vincent van Gogh at the end of the 19th century. 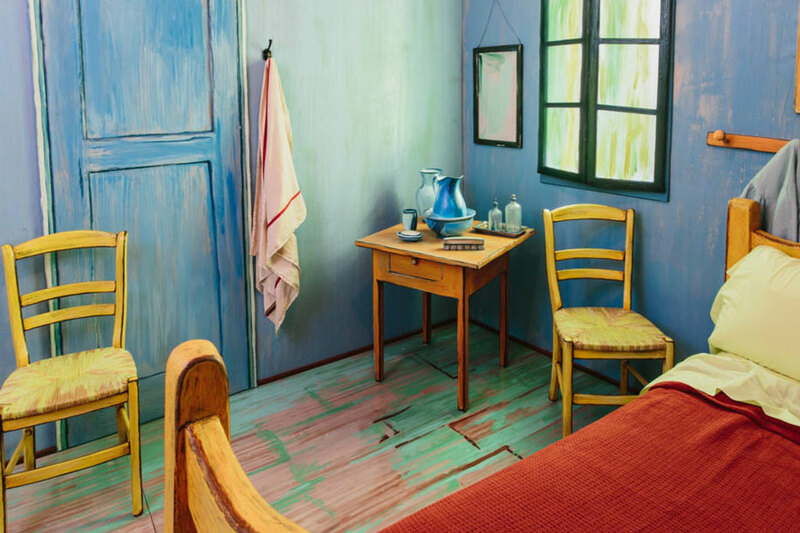 All three versions are “photos” of his own room interior, in which he lived when staying in a French town Arles. 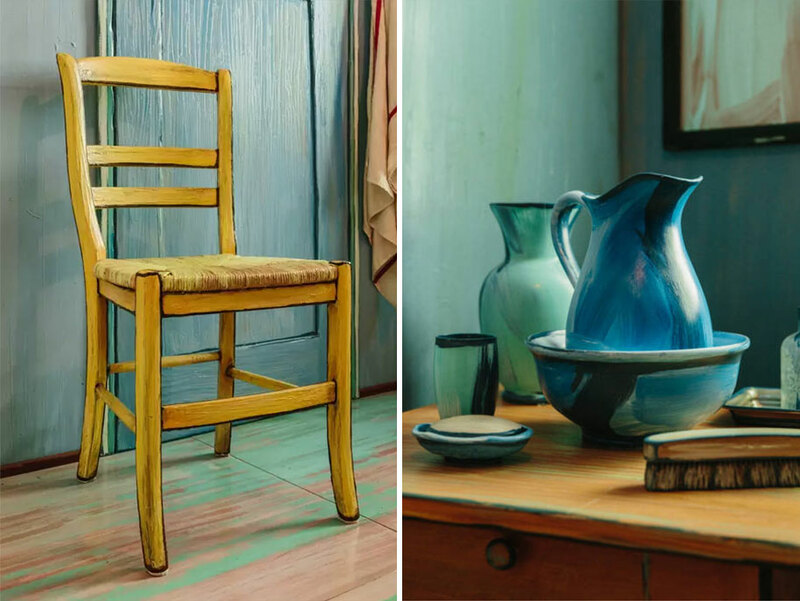 The key difference between the three pictures is paintings hanging on the right wall. 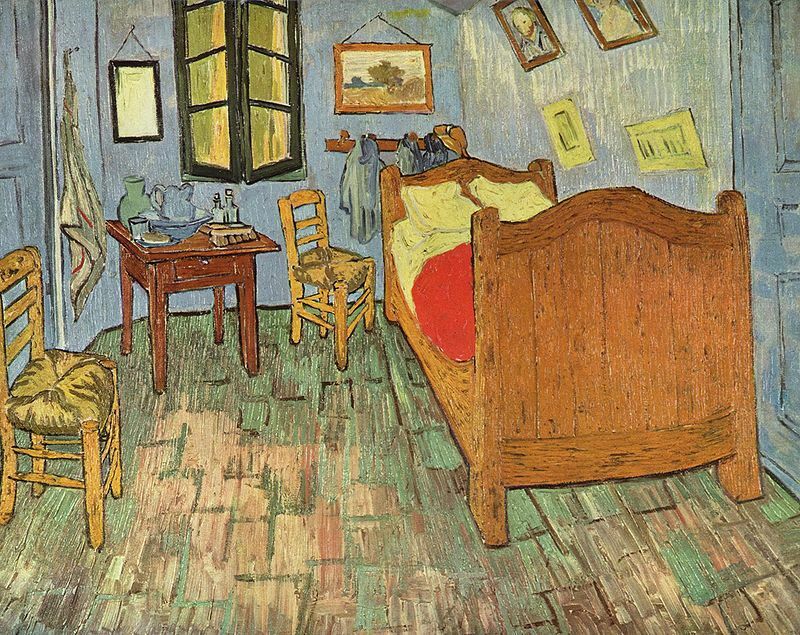 The first version of the painting was born in October 1888 and its sketch was sent by van Gogh to his brother Teo along with a short description. 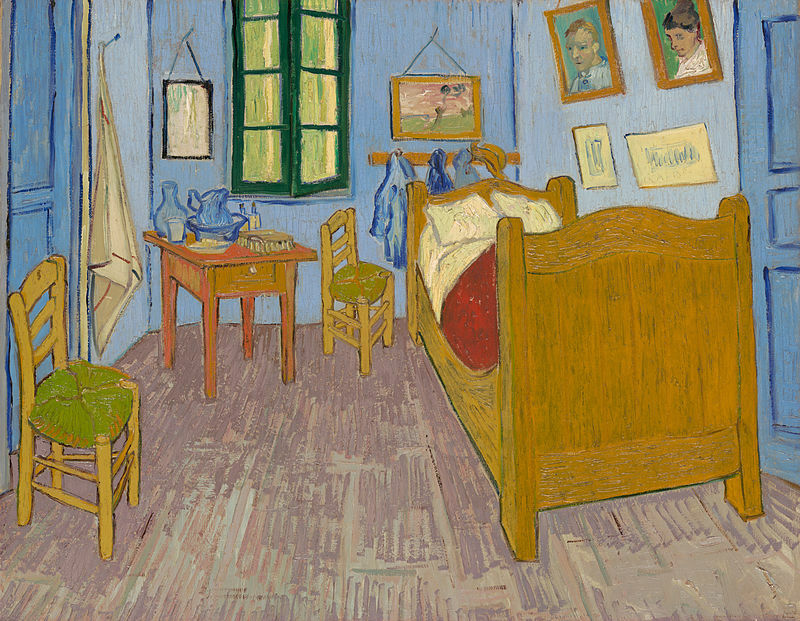 In his letter Vincent explained that his idea was to add stylishness to the interior by means of simplifying the color scheme of its components. He wanted the owner of the painting to feel how it soothes the brain and imagination, bringing thoughts about rest and dreams. To enhance this feel, he intentionally pictured pieces of furniture quite big. 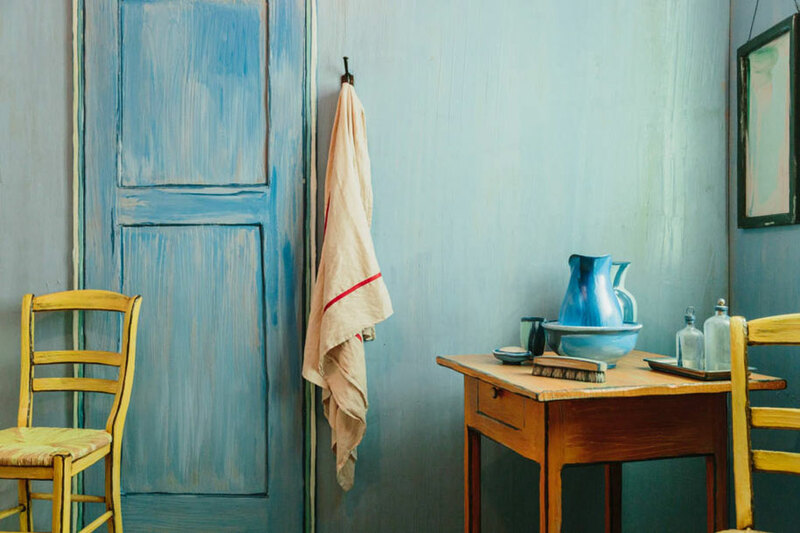 The image fancifully combines pale lilac walls, red tiled flooring, yellow chairs and bed (“like fresh butter”), very light lime green pillows and sheet, a scarlet blanket, a green window, an orange wash basin, lilac doors, and a light blue bowl. The walls feature portraits, a mirror, a towel and some clothes. Since the first version was spoiled by a flood, Teo asked his famous brother to make one more copy of the picture, which he loved so much. 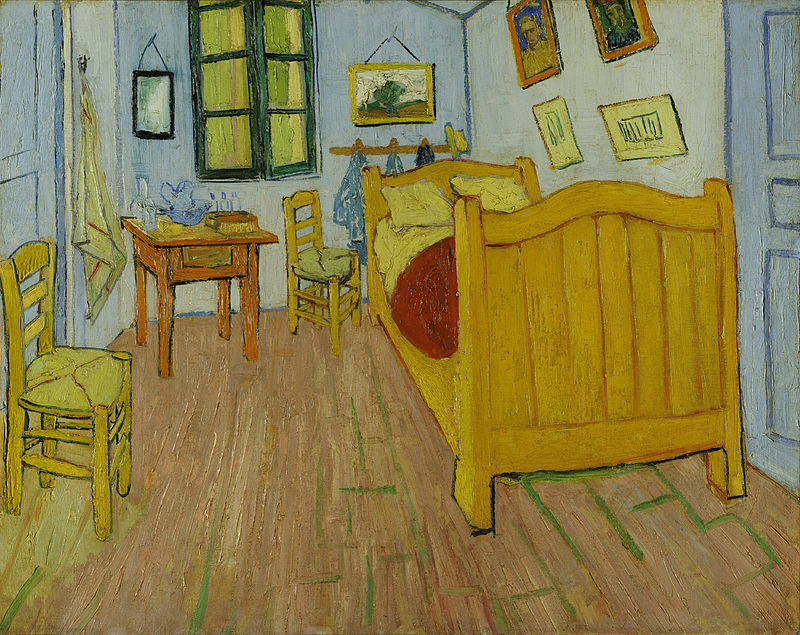 And in summer 1889 van Gogh decided to make the third copy (the best one, according to him) for his mother and sister.